Vtech Switch & Go Dino Torr the Therizinosaurus is strong, friendly and has very long claws! 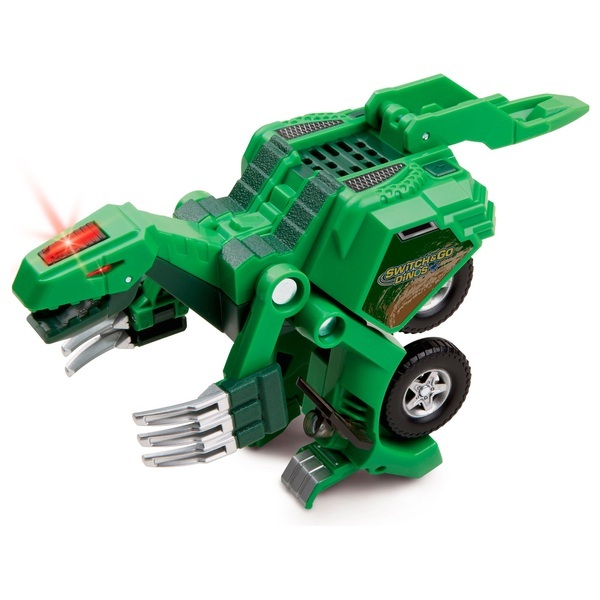 This 2-in-1 toy switches between a dinosaur and a powerful car. Press the talk button to hear fun phrases and facts, then tap the sound button or move the dino to hear great sound effects. Just Switch & Go!